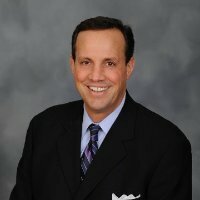 June 5, 2014 - David Howard, President of MSG Sports, was asked to leave his post by James Dolan, Executive Chairman of Madison Square Garden. Howard was responsible for running the business operations of MSG's sports teams, including the Knicks and Rangers, a position similar to the one he held with the Mets before coming the Garden just about a year ago. Howard joins Ryan O'Hara, who was MSG's President of content, distribution and sales, in exiting MSG. There's speculation that the Garden is tightening their belts because of the recent hiring of Phil Jackson, who signed a 5-year, $60 million contract to become the new President of the Knicks. Regarding Howard's departure, an MSG spokesman said, "We are grateful for Dave's contributions as MSG has pursued strategic initiatives that have driven the company's growth and wish him the very best moving forward."